How to upload your resources. 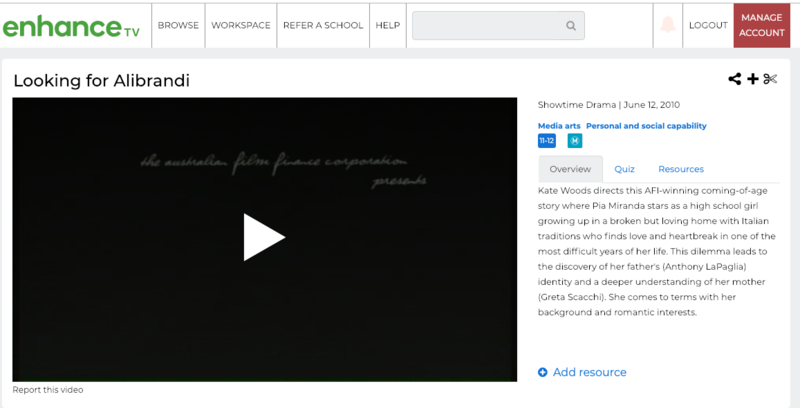 Teachers and students now have the ability to upload external links, files (Docs, PDF's, JPG, XCL, CSV and other common file types) and videos as apart of EnhanceTV resources section to each video available on the site. 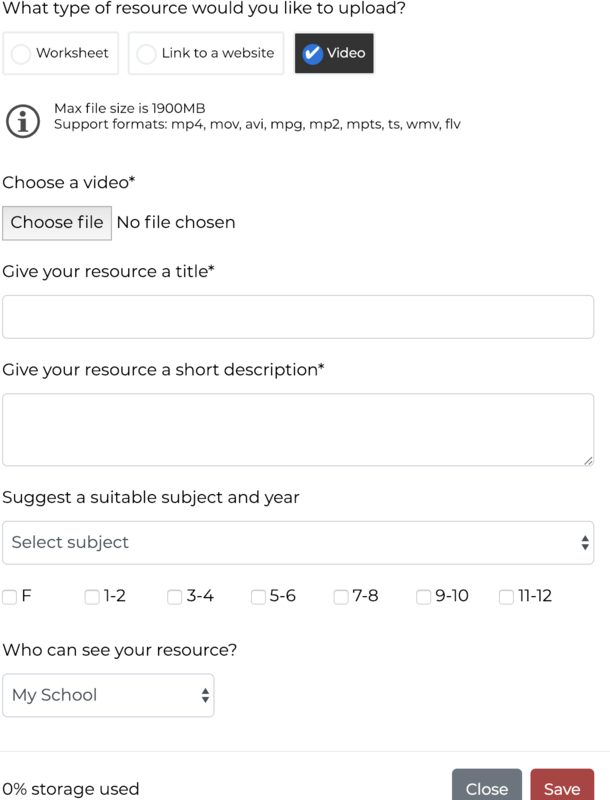 Whilst teachers may upload files that are private and only available to teachers or to every person in their school (including students), students may only upload files that are visible to teachers in their school. To Upload a resource, go to the video you wish to add resources to. On the right hand side of the video, you will see an Overview / Resources tab. At the bottom of the overview, click on the Add Resource button. 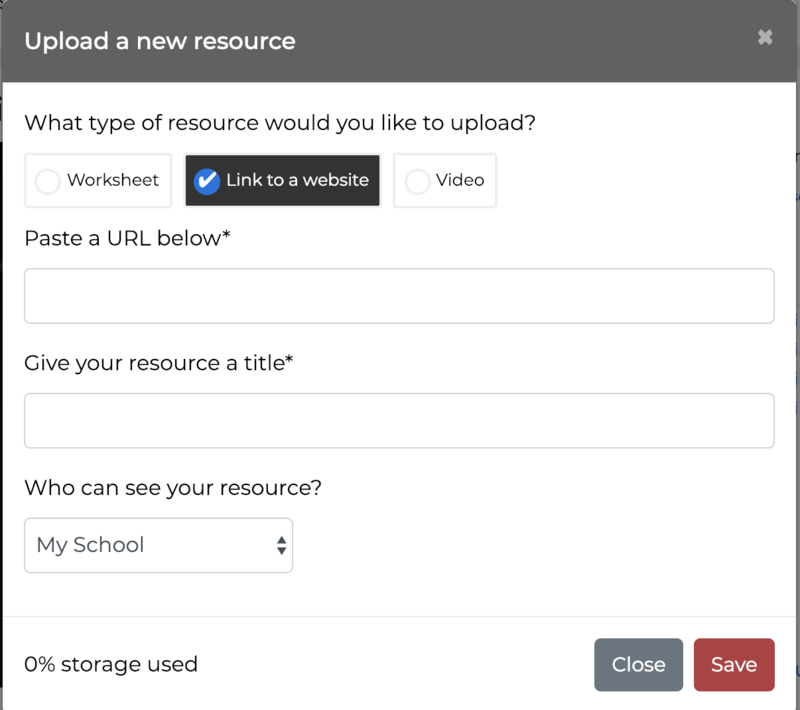 You will then be able to choose your resource type, External Link, File or Video. Storage used will indicate how much storage your school has left to store resources. (See your admin for details of how much storage you have). To Add an external Link, type or copy and paste the link to the resource then give it a name. To Add a File / Video, Select your file with Choose File then give your resource a name. Please note the maximum size for one file is 100mb. Who Can see your resources? Selecting My School will share to everyone within your school network. Selecting teachers at my school will display the resource to just teachers in your school. Just my self will make the resource only available to you. Your administrator can manage resources for your whole school. They may remove files if they see fit due to copyright or storage concerns.